Everyone needs a few helpful tips and tricks here and there, regardless of your style routine. We’ve compiled just that: a few simple rules to help you effortlessly ace every look. Check out the 20 rules for dressing well all day, every day. 1. Add a blazer to your closet. There’s nothing that completes almost every look quite like a blazer. Once you nail the perfect fit (see rule 6), pair it with denim for a more relaxed feel or with chinos to balance that fine line of smart casual. 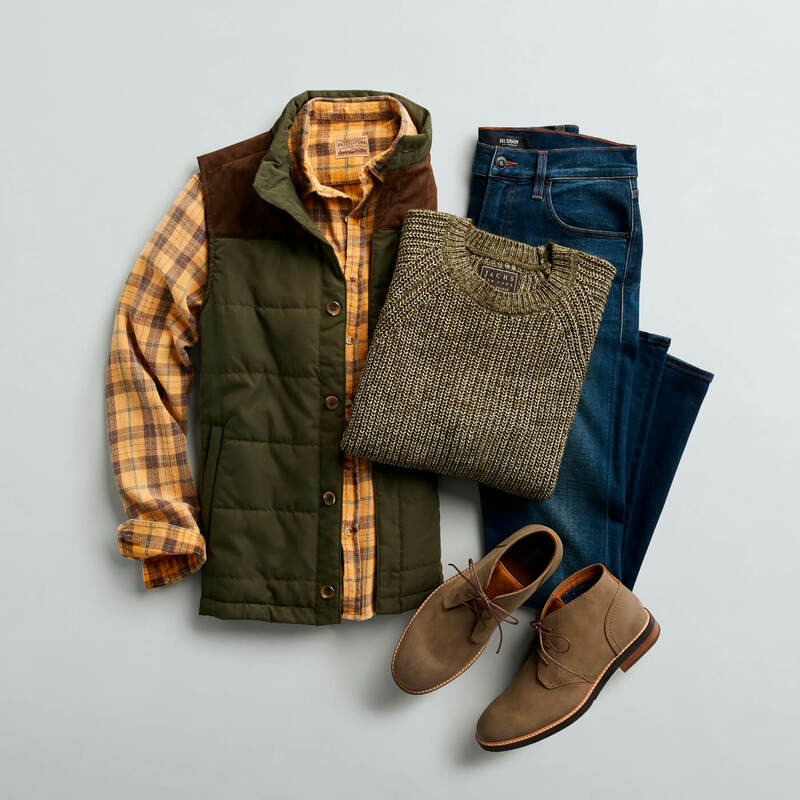 Mix up what you wear underneath one too, from polos to t-shirts to sweaters. 2. Try a pair of slim jeans. Surprise—this goes back to the first rule. Slim doesn’t mean skinny or tight. Your jeans should fit without requiring a belt, and the fabric should skim your legs, not hug or engulf them. A slim fit overall looks good on every build, lets you move comfortably and creates a modern look. 3. Upgrade your athleisure pieces. Who doesn’t want to be comfortable and look great at the same time? Trade in those house sweats for a mix of performance and loungewear. 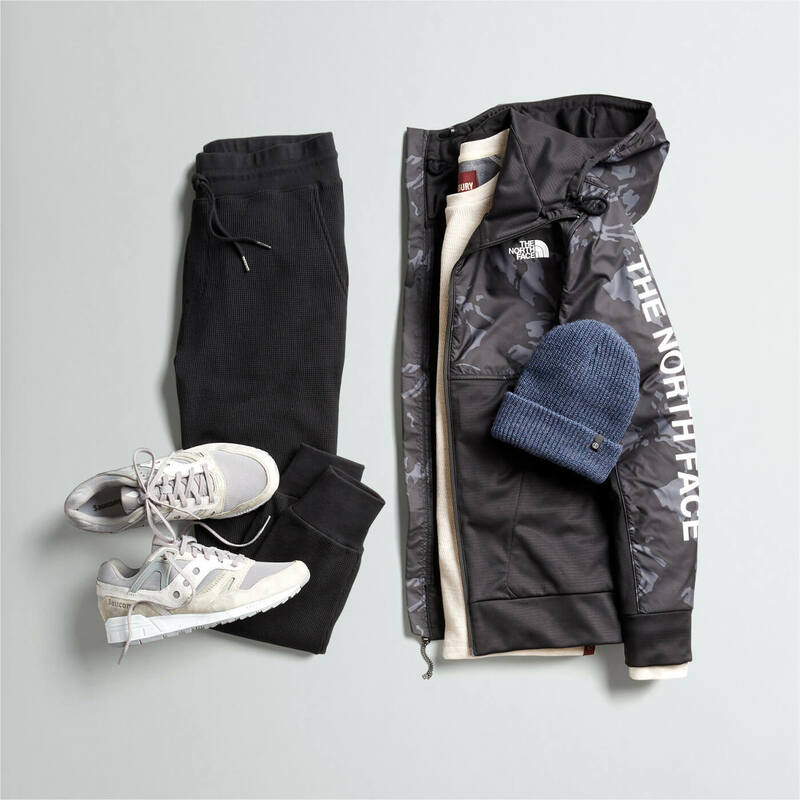 Think clean-lined joggers, a high-tech hoodie (moisture wicking for the win), either your favorite cotton t-shirt or a dry-fit version and the latest sneakers—both fashionable and functional. 4. Make layers your best mates. Layers are not only a vital part of winter survival, but also give you a chance to switch up your style game. Have you ever worn a performance jacket over a suit? The result is dapper and practical. A denim jacket under a top coat mixes both 9 to 5 and 5 to 9. 5. Play with proportions using prints and patterns. An easy way to change up your routine is by mixing in prints and patterns in different sizes. Remember to stick with complementary colors. Try pairing a dark blue dotted tie with a light blue striped shirt. Wearing a striped tie? Add a striped shirt, but make sure the stripes on the tie are larger. 6. Always choose the right fit. This is the most important rule, and should be followed the most. It doesn’t matter if you’re dressed casually or sharply, your clothes need to fit your body shape, from your neck to your wrists to your inseam. Example: Your shirt shouldn’t be billowing anywhere. The body of your shirt should be a close fit, but not too tight, regardless of your size, and your sleeves should fit the same way. 7. Cuff your sleeves (short or long). Play with rolling your sleeves on different types of shirts. A t-shirt, with two quick rolls of the sleeve, gives off a cool 50s vibe. Rolling the sleeves on a dress shirt has relaxed written all over it. Our method? Unbutton the cuffs, flip them all the way up to just below your elbow and then take the bottom part and fold up until it covers the very top of the cuff. 8. Invest in an all-star shoe lineup. 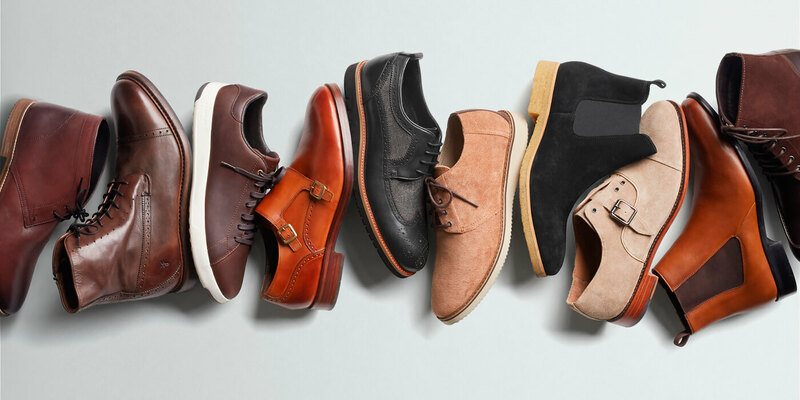 Keep your shoe rotation current so you have a pair for every need. Oxfords work well for dressing up or down and these days, sneakers do too. And don’t forget to add a boot, perhaps a Chelsea. 9. Learn when to match your shoes and belts. Take advice from our Stylists—it’s a good idea to match your shoes to your belt. This works well for those formal occasions that come up from time to time, like big business meetings, weddings and date nights. For everything else, skip matching exactly, but stick to the same color family (like tan with dark brown). 10. Definitely wash your jeans. There are a lot of different regimens for cleaning jeans, from putting them into the freezer to hanging them out in the sun, but we think good ol’ washing is best. Wash your pair inside out every 2-3 wears and then hang them to dry. Make sure you’re using fade resistant detergent to keep the color rich, and remember, the higher the quality of your denim, the longer they will last through each wash.
11. Take good care of your shoes. You wear them every day, so it’s only natural that they take a beating. After you invest in an all-star lineup (oxfords, sneakers, boots), the next step is to ensure that they last. Assemble a handy shoe-care kit with suede spray, leather polish, a sturdy brush, fabric shampoo and a few shoe trees. 12. Get familiar with an iron. Avoid looking like it’s your first day in the workforce with wrinkle-free shirts, pants and suits. An iron with a steamer is great for when you’re in a time crunch, and reinforces the fact that you care about how you look and always mean business, even when dressed casually. 13. Mix in new colors. Trying something new doesn’t have to be scary. It’s good to take a break from the repetition of neutrals and add color into the mix. 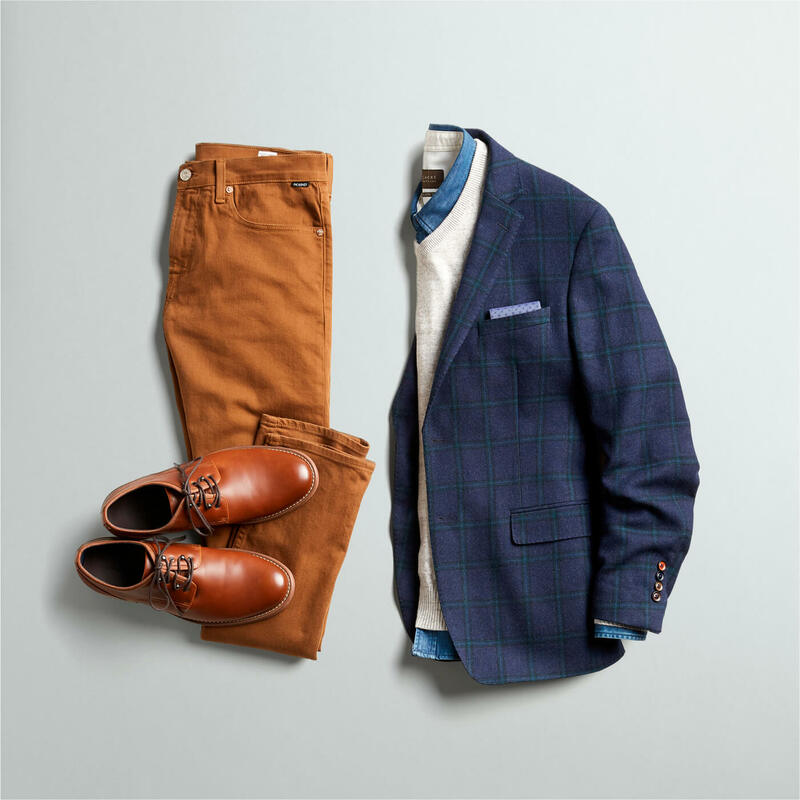 No need to switch into an entirely new dress code; just add a colorful shirt to your favorite jeans, dress pants or chinos. 14. Test out monochromatic pieces. 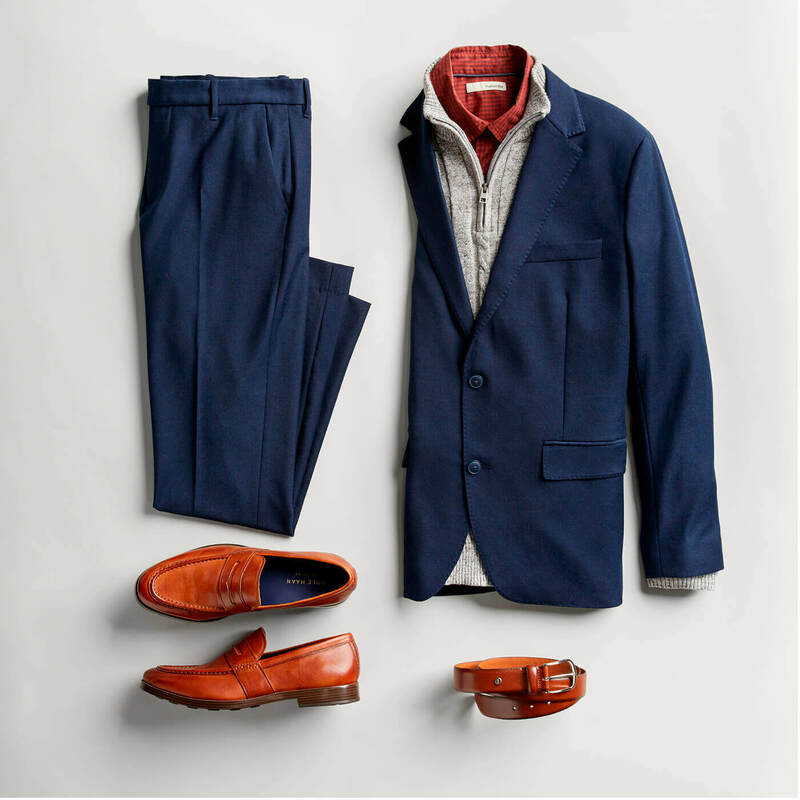 While you’re trying out new things, why not give head-to-toe color a chance? Before you start with all white (if you’re ready, go for it! ), easy neutral shades like gray or navy make it look like you know what you’re doing, because you do. 15. Add different shades to your denim rotation. 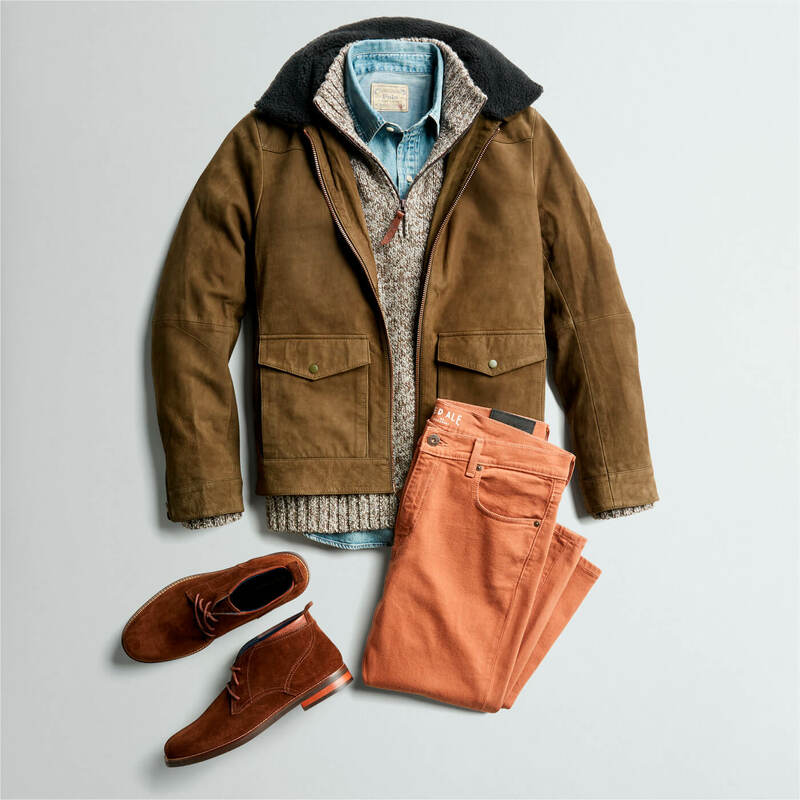 Traditional blue jeans are a staple in every man’s wardrobe, but experimenting with different washes and shades is a fresh way to vary the everyday. Try black or gray for a dressier look, or go for something really bold. Just remember to keep the rest of your pieces neutral when choosing a punchier color. 16. Find a style icon. Inspiration is everywhere—magazines, online, on the street. It helps to keep a few names in your back pocket of style icons whose styles you’re into, or whose types of looks you are also gravitating towards. This exercise comes in handy when you’re telling us what you’re looking for. 17. Study up on your favorite brands. See what you like about certain brands. Are they known for having great fits or making durable products? 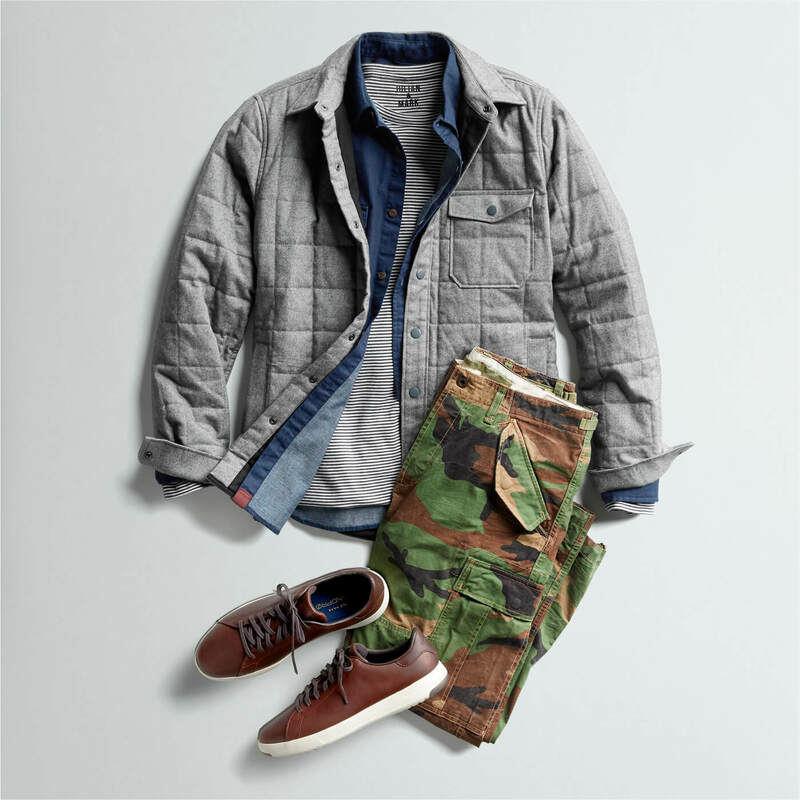 Put together a short list of the brands you can always rely on for fit and quality that match up with your personal style and be loyal to them, or better yet, ask us about our favorites so we can send them your way. 18. Go for a new style. You can actually inspire yourself by trying something unexpected. Start with a piece you wouldn’t normally wear, and rotate it into your daily mix. It’s an easy way to branch out of the norm, find things you didn’t know you would like and change it up a bit. Not sure where to start? Ask us! 19. Ask for a second (or third) opinion. Speaking of asking, it’s always good to get someone else’s thoughts on your new threads. Ask your wife, girlfriend, partner, friend, or you can always ask us what we think. This will help you get a better understanding of what fits your body type best, and maybe even help you branch out. 20. Work with a personal stylist. Stitch Fix is the easiest way to stay sharp 24/7, all year long. We’ll set you up for special occasions, day to day, unexpected events, hanging out at home—every type of style is covered by us. Buying new clothes that fit exactly the way you want them to is as simple as opening a box and keeping what you like. Win, win. Schedule a Fix right now to get the ball rolling on your personalized box of soon-to-be favorites.